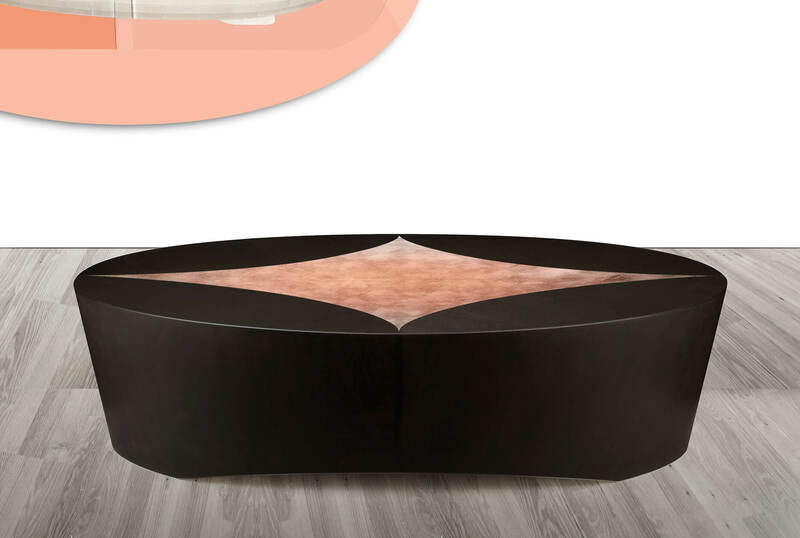 The Venetian cocktail table is inspired by the bold, geometric forms and rich contrast in materials found in the Art Deco and Biedermeier movements. 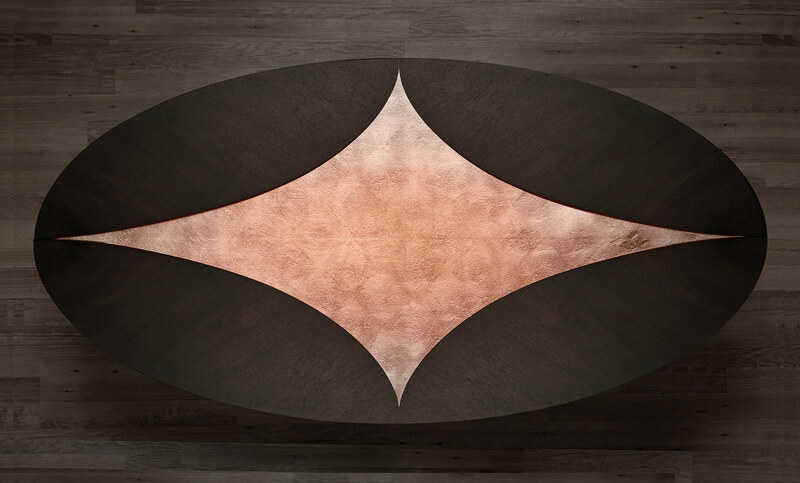 Gracious curves combine into a symmetry that is both calm and expressive. The pure shape of this work of art evokes a certain nautical quality. 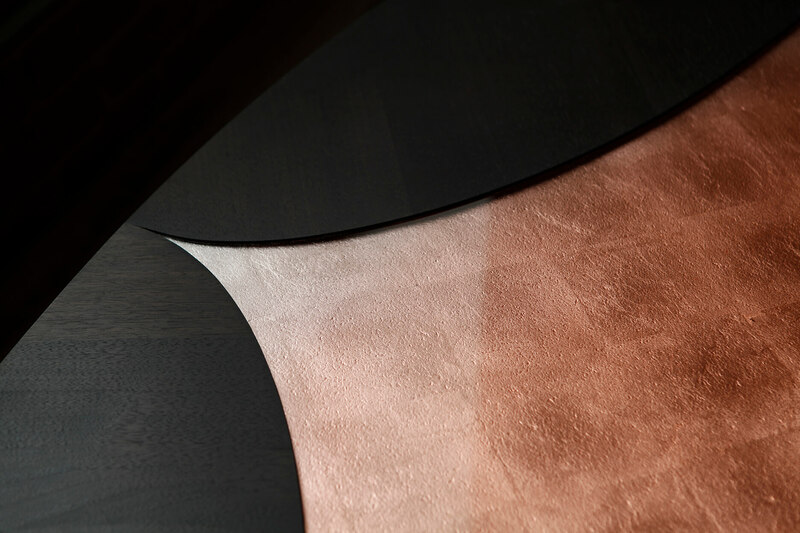 Finished to a dark java shade, the book matched walnut veneers elegantly reveal the silver leaf motif which fades from silver to rose under a pool of high gloss epoxy.